Buy Black. Give Homeless Youth a Break. We will make a donation to the Covenant House for each Black Bullet2.0 sold on our website to help end youth homelessness. Join our effort and help homeless and trafficked youth get on their feet again. Covenant House is dedicated to serving all God’s children, with absolute respect and unconditional love, to help youth experiencing homelessness, and to protect and safeguard all youth in need. We will make a donation to the Covenant House for each Black Bullet2.0 sold on our website. Your donation will provide services that homeless youth need such as food, shelter, clothing, internet access, laundry, showers, case management, therapy, and educational and employment support. The funds will also go towards building a medical clinic as well as a small charter high school. Your donation will help create a safe and productive place for homeless youth to get back on their feet again! Your purchase of the black Bullet2.0 brings us a step closer to ending youth homelessness. The Limited Edition Black Bullet2.0 by Schatzii is state-of-the-art audio design at its finest, and delivers TRUE WIRELESS FREEDOM to make calls and listen to music with crystal clear sound. The BULLET is the world’s smallest and most lightweight Bluetooth Earbud weighing only 4.7g. 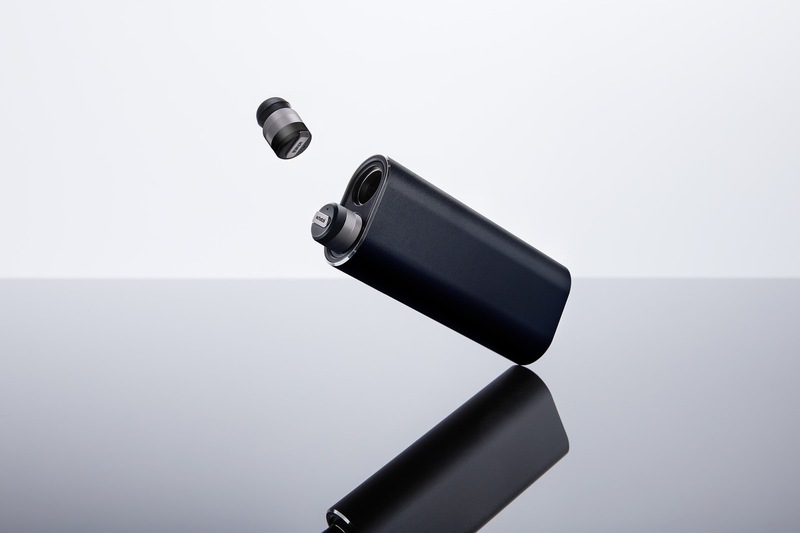 The BULLET2.0 features the latest Bluetooth V4.1, and includes a custom portable Charging Case for both convenient storage and re-charging on the go, providing up to a 12X charge for the earbuds. The BULLET2.0 is equipped with CVC Active Noise Reduction + Echo Cancellation to suppress unwanted noise. Enjoy Hands-Free and Tangle-Free listening pleasure in style and ultimate comfort with absolutely no strings attached. These stealth earbuds enable you to make calls and listen to music discreetly, nobody will even know you have them on! Even the most discerning spy aficionados will appreciate the stealth modern design and stylish look of this futuristic headset. The BULLET's unrivaled style and cutting-edge technology makes it the most advanced and smallest Bluetooth earbuds ever. Finally, True Wireless Freedom is Here. Magnetized Earbud Slots so they don’t fall out. True Wireless Freedom is Here. 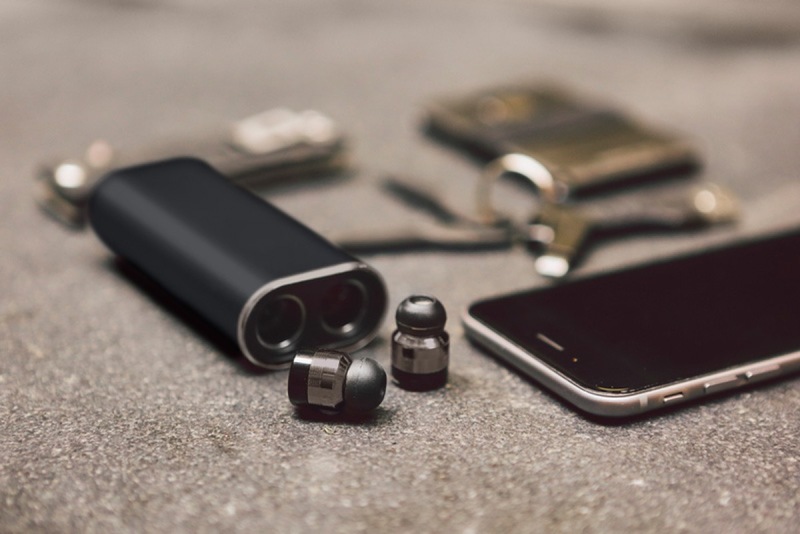 The BULLET2.0 Bluetooth 4.1 Stereo Earbuds + Charging Case by Schatzii is state-of-the-art audio design at its finest, and are the world's smallest and most lightweight 'True Wireless' Bluetooth Earbuds, equipped with a custom portable Charging Case for both convenient storage and re-charging on the go. Ultra lightweight and comfortable weighing only 4.7g, the Bullet allows for making calls and listening to music effortlessly with crystal clear sound - no strings attached. It also features CVC Active Noise Reduction for noise suppression and echo cancellation to eliminate unwanted noise. The BULLET's sleek modern design enables you to make calls or listen to music discreetly, and is ergonomically designed for comfortable long term wear - so small and lightweight you won't even know it's there. 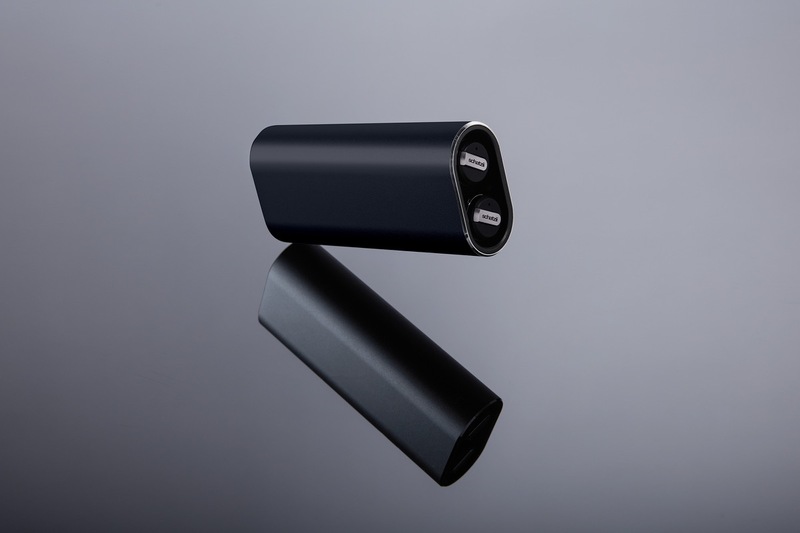 The BULLET2.0 can connect to any Bluetooth enabled device such as your phone or tablet, and the slim space-age profile will impress even the most discerning tech aficionado. Charging is easy with the BULLET's own custom portable Charging Case that can provide up to a 12X charge for the earbuds. Charge the case on the go with the micro USB charging cable included that connects to any USB port. 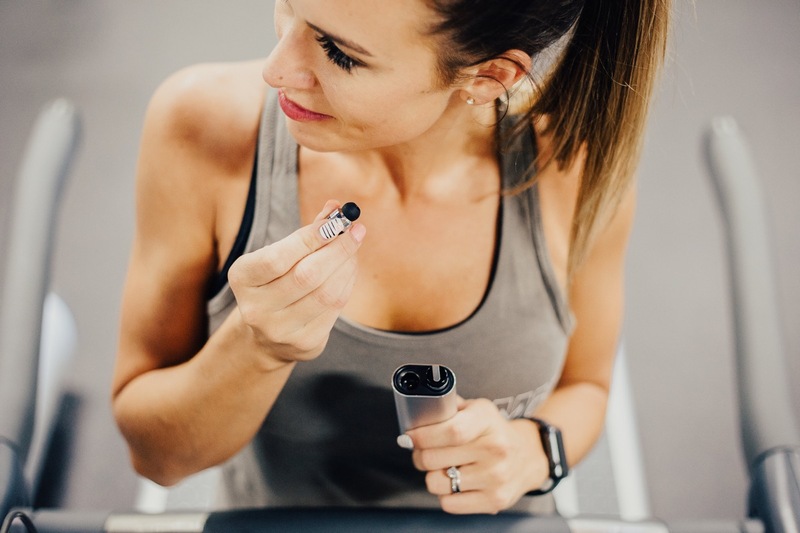 The BULLET2.0's unrivaled style and cutting-edge technology makes it the most advanced and smallest Bluetooth earbuds ever. 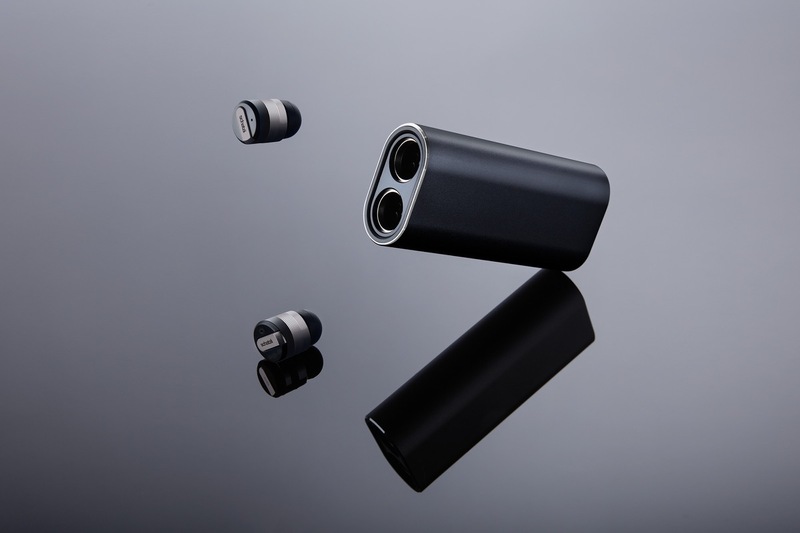 The Bullet2.0 was designed to be the world’s smallest and most lightweight True Wireless Bluetooth earbuds. The modern aesthetic of this earpiece was created to resemble a sleek space-age device that could be found in use somewhere like NASA. The Charging Case is shaped like a rocket ship and the earbuds are its 'command module' that will detach when in use when talking on the phone or listening to music. The lack of any wires whatsoever makes the design tangle-free and extremely efficient, functional and comfortable for the user, as well as look great while wearing it. The earbuds have a dual concentric circle design around its base accented in a polished chrome finish, and looks like a museum piece worthy of the Guggenheim. 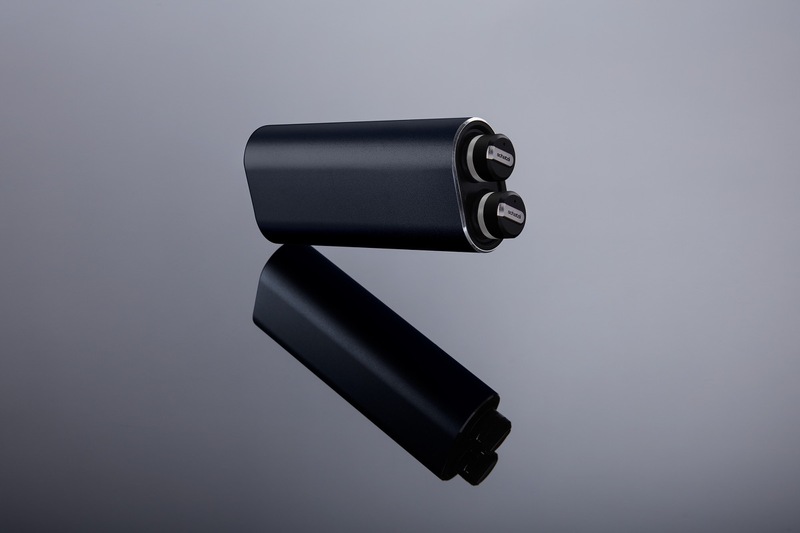 The Charging Case is made of ultra lightweight anodized aluminum, and has a slim profile and brushed silver finish. The Capsule acts as both a storage dock and re-charging station for the earbud, and has a rechargeable battery built-in to be able to charge the earbud 12X on the go without having to plug it in. 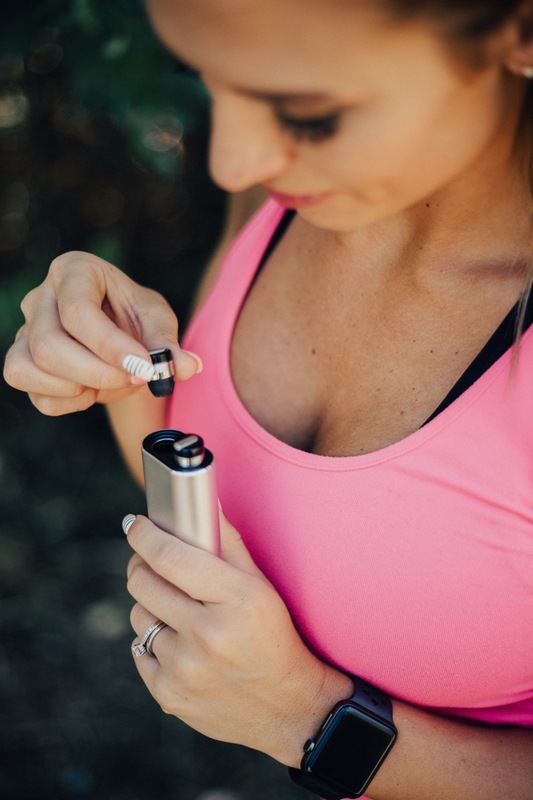 The Bullet is small enough to enable you to make calls or listen to music discreetly, and is so comfortable and lightweight you won't even know you have them on! This sleek modern Bluetooth headset is something you’d see James Bond wearing. TRUE Wireless Freedom is here. Live Tangle-Free. 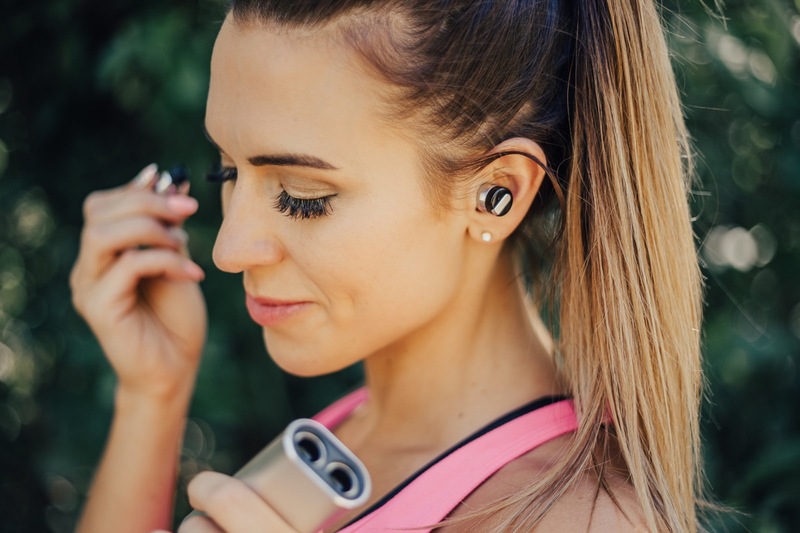 We have the smallest and most lightweight True Wireless earbuds ever which enable you to live tangle-free. Our charging case has a sleek and slim design that acts as a charging capsule and storage case for the earbud so you are not always looking to plug it in, and can easily take them on the go. Our design is the sleekest and most aesthetically pleasing on the market, and the most stealth for making calls or listening to music discreetly. They are ergonomic and comfortable to wear for long periods of time, and completely free of any cumbersome wires whatsoever. The Bullet can slip comfortably into your pocket or purse and you won’t even know its there, even when you’re wearing it. There are a lot of cumbersome, uncomfortable and heavy over the ear headset earmuffs on the market, but not everyone has a head the size of LeBron’s to support them. Women in particular don’t enjoy wearing over the ear headphones because they mess up your hair, mess up your make-up, and are just too big to wear comfortably for an extended period of time. Other Bluetooth earbuds are not “True Wireless”, meaning there is still a wire that connects the earbuds together that can still get tangled. Our Bullet series of headsets are all “True Wireless” and eliminate the wires altogether for tangle-free enjoyment. Will the Bullet2.0 work with my phone? Yes, the Bullet2.0 works with all Bluetooth enabled phones and other Bluetooth devices. The Bullet2.0 Earbuds are very small, will I lose them? 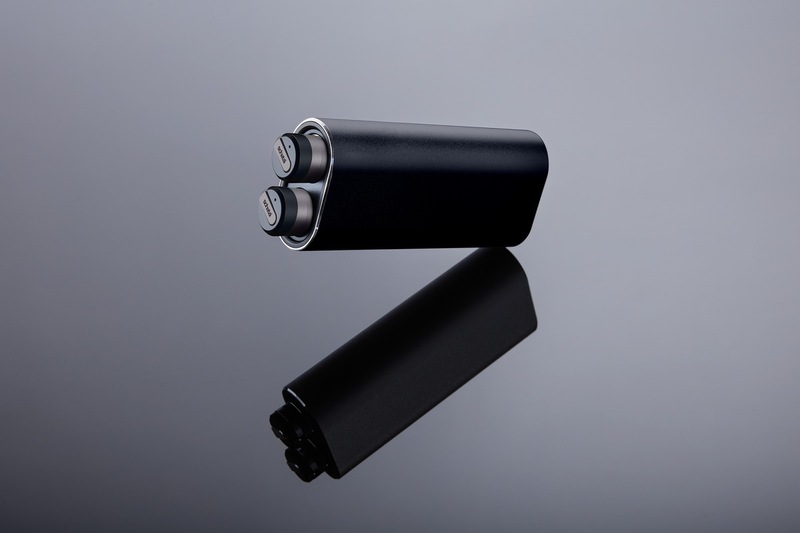 The portable Charging Case has 2 magnetized earbud slots that hold them securely in place, and will also recess inside the case for safe and secure storage when not in use. You can turn the Charging Case upside down and even shake it, and the earbuds won't fall out. 3-4 hours on average. The battery will drain faster if only music is played at high volume continuously. How many charges will the Charging Case give me without having to re-charge it? What if I have any questions or need tech support for the earbuds?